At South By Southwest, The Sounds Of Cuba Come To Texas "When the people get my music, people can get my soul, too," says Cuban singer Dayme Arocena. She's one of many musicians benefiting from the changing relationship between the United States and Cuba. When Cuban singer Dayme Arocena performed at SXSW, "everybody in the place fell in love with her," says NPR Music's Felix Contreras. As President Obama touched down in Cuba over the weekend, Cuban artists were making waves at the SXSW music festival in Austin. Organizers of the so-called SXAmericas — or South By Americas — series held a "Sounds of Cuba" showcase. Record label reps, music press and Latin music fans got to see rappers, Afro-Latin jazz singers and more from the Cuban music scene. The show was the first of its kind, given the difficulty these artists have getting clearance to go abroad. Many of these Cuban musicians had never performed on a U.S. stage. NPR Music's Felix Contreras, host of the podcast Alt.Latino, was at South By Southwest and said to remember one name: Dayme Arocena. "She's like a mix of Aretha Franklin and Celia Cruz in the same breath," he says. "She is working a part of the music scene that is far from the pop world but very artistically complex and compelling. And she's got this wonderful warmth and personality that comes across, even on record. But live, everybody in the place fell in love with her." Contreras says Arocena's music blends many different aspects of the current music scene in Cuba. "What she is doing is drawing on all this contemporary music that's happening in Cuba," he says. "A mixture of salsa, a mixture of jazz, a mixture of hip-hop, neo-soul — that nice little combination. And then adding elements of Afro-Cuban rumba with music, with vocals, with dancing styles — all of that, and put in this really wonderful package." Contreras says Arocena's song "Madres" is a perfect example of her Santeria and soul influences. The powerful singing in the song might make you think Arocena would be a diva — broad and imposing. But when NPR's Audie Cornish met up with Arocena, she was surprised by the small, full cheeked young woman with an infectious laugh. Arocena is only 24 years old, but already well-known in Cuba, where she has been performing in bands and choirs publicly for a decade. She says, laughing, that one of the first songs she learned in English, at age 5, was Whitney Houston's version of "I Will Always Love You." She says she was a kid with a loud voice with a huge range. "I used to get high notes so high," she says. "Now I have a low voice — really low. But everyone in my neighborhood knew when I was singing because the voice was going everywhere, always." Arocena is Afro-Cuban. At SXSW, her head was crowned with a tightly wound white turban. The color is a symbol of her Santeria faith, which encompasses West African and Roman Catholic elements. People often point to her faith when describing her music, which has been performed in church venues abroad. But she has a harder time when asked to describe her own sound. "That is always a good question, because I don't know yet," she says. "It always has like a jazzy taste. But I am so Cuban, in the Cuban mood. And I think everything is so honest. I try to be honest, always, with myself, and that is why my music sounds like me. When the people get my music, people can get my soul, too." She grew up singing in a youth choir whose director taught jazz along with songs from Queen and the Beatles. Her father loved the singing of Ella Fitzgerald. Arocena also reflects a new generation of Cuban musicians who grew up listening to pirated CDs. She was in the audience of the nearly half-million Cubans who, a few weeks ago, turned out to see EDM superproducer Diplo in Havana. 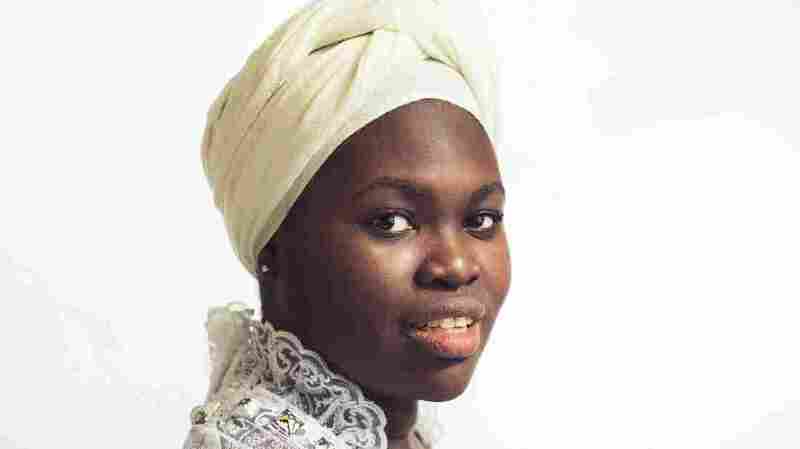 And finally, Arocena is the product of Cuba's highly selective music education system. That's where she learned classic composition and choral arrangements. But, she says, that education had its limits. "The music school in Cuba is classical stuff; that's all you get in the school," she says. "And we don't have enough money in the country to give instruments to all the kids to study music, or to try music." She says this lack of funding means that 20 students per province are selected, via a test, to study music. "But [the schools] are focused on the music you cannot get in the street," she says. "Because in Cuba you can get any kind of music in the street. You learn to play to rumba, to play salsa, to play — everything! But to play Bach, to play Mozart, you have to go to the musical school." Arocena is hopeful about the future for Cuban musicians. Now that the relationship between the United States and her home country is changing, Arocena says her main hope for Cuban performers is simple: information. "In Cuba we don't get enough information from the world," she says. "Everyone outside — what they are doing, what they are playing, how the people are producing. We need to exchange blood. We need to see the people outside Cuba — how they produce, how they work. And they have to see what we are doing in Cuba, and what we are playing, what we are creating — that we are not still in the '50s playing songs or Latin jazz. I am not the star; I am not a god — I am just a person. Cuba is a country with 11 million of persons! Come on, we need to be out, the people have to see us!"